At TBG Conferencing, our philosophy is simple. Provide a premier portfolio of products and services that enables our customers to connect quickly, communicate flawlessly and collaborate effectively. We know that success in today's business environment depends on your ability to communicate with co-workers, clients and vendors world-wide. Our outstanding line of teleconferencing products and services provides you with the tools you need to drive your business. Our Customer Service team is dedicated to ensuring your success. At TBG Conferencing, training on our entire product portfolio is free, ongoing and customized for your organization. We are not satisfied until you are satisfied. 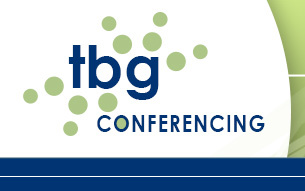 Send us an email at info@tbgconferencing.com or call us today at 888.877.5411. We look forward to working with you.